According to the Substance Abuse and Mental Health Services Administration, 22.5 percent of American adults suffered from a mental illness in the past year. That’s almost 1 in 4 people. This means that almost all of us either know someone or are ourselves affected by a mental illness of some kind. These mental illnesses come with many different names: depression, anxiety, schizophrenia, and alcoholism to name a few. Those affected by mental illness must overcome one thing they all have in common: the stigma of the illness. They must battle that in addition to the universal challenges that anyone with an illness faces – managing symptoms, following up with a physician, keeping up with a treatment regimen. What is stigma? It’s defined as a mark of disgrace associated with a particular circumstance, quality, or person. People can be stigmatized for many things, even such apparently benign things as race or gender. We have come up with words for these kinds of stigma – i.e., racism and sexism — and society has tried to move away from them as best it can. However, while we have come a long way in combating the stigma of mental illness, it is obvious that we still have a long way to go. The stigma that someone experiences comes in two forms: external (from other people) and internal (from themselves). The impact of this stigma varies widely based on a person’s background, peer group, and personal identity. This means that some people can feel a greater impact of stigma than others. External stigma comes from the lack of support and understanding from others while internal stigma comes from our judgements of ourselves. Unfortunately, we all can be our own worst critics. One group that experiences a disproportionate impact from the stigma of mental illness is the veteran community. A disorder that is often tied to veterans is Post-Traumatic Stress Disorder (PTSD). However, PTSD can impact anyone including people who experience or witness horrific accidents or who are the victims of assault. In fact, one study found that nine percent of adults in an urban area experienced PTSD symptoms at some point in their lives. After trauma, the brain can respond differently to the outside world, and sometimes it is unable to recover without outside help. This “invisible trauma” can be compared to “visible trauma”. For example, when people break their bones in car accidents, we don’t say that they’re “weaker” or “disordered” if they need surgery to repair those broken bones. Unfortunately, this type of stigma (“weaker,” “disordered”) can continue to exist in those patients, particularly veterans, who suffer from PTSD. To combat this stigma, there has been a push, especially in the military community, to rename this mental illness Post-Traumatic Stress Injury. Intrusive symptoms, commonly understood as flashbacks, are the ones most associated with this injury. Vivid flashbacks are one of the many ways that people with PTSD can experience intrusive symptoms. Avoidance is a symptom that can stem from the flashbacks – if every time you get into a car you feel like you’re reliving your horrific car accident, you’re going to stop getting into the car. Negative alterations in thinking and mood can present in many ways, but these symptoms basically boil down to the person behaving and thinking differently than they did before. Someone who feels paranoid, alienated from others, easily angered, or who has a persistent sense of guilt can be experiencing this symptom. Alterations in arousal or activity can include increased aggression or recklessness, problems with concentration and sleep, or hypervigilance. Those who are hypervigilant are constantly aware of their surroundings and easily startled. Some of these symptoms will happen to everyone after a traumatic event, but some of those who experience a high level of trauma will not be able to recover from it by themselves. This means that they will experience these symptoms for a longer time and in a way that affects their daily lives. Think of it as experiencing enough trauma to get a bruise, which can heal on its own, versus breaking a bone, which can often require surgery to fix. Coming back from war, many of our veterans have experienced more trauma than most people can imagine. Lots of these veterans come back with visible signs of trauma – scars and amputated limbs – and face a variety of limitations to transitioning back to civilian life. We should in no way minimize the struggles and challenges that these heroes are facing adjusting to life with these new physical limitations. However, invisible trauma is often overlooked. The injuries from invisible trauma often manifest themselves as mental illnesses: PTSD, alcoholism, addiction, and depression to name a few. However, despite recent campaigns by the Department of Defense (DoD) and Department of Veterans Affairs (VA) to combat stigma against these conditions, it remains difficult for some veterans to ask for help with these invisible injuries. This is a huge problem, because these injuries can prevent veterans from returning to being loving spouses, caring parents, and productive workers. Even worse, according to the VA, an average of 20 veterans died from suicide every day in 2014. Despite the VA’s and DoD’s attempts to combat it, a lot of stigma, particularly internal stigma, still remains. The military teaches service members to “ruck up” and be tough – every service member is supposed to carry their own pack, bear their own burden, and keep moving on. While this mentality is necessary to function as a team in wartime, it can be a barrier to transitioning back to civilian life, especially for those who are suffering from psychological trauma and mental illness. It makes it harder to ask for help. Service members are used to being the heroes. They’re used to being the ones out there helping others, not the ones receiving help from others. Because psychological trauma, unlike physical trauma, is invisible, the problems associated with it can be seen as “weakness” or a “deficiency of character” by those who are suffering from the invisible injury and by those around them. It’s so much harder for friends, caretakers, and the veterans themselves to understand these invisible injuries as opposed to the visible ones, but there are resources out there that have been put in place to help. Chris Duffley, a regional director for the American Red Cross and Air Force veteran, spoke with me about the importance of collaboration between the public and private sectors in helping our veterans to come forward for help and to receive that help in a timely manner. In conjunction with new programs implemented by the DoD and VA, private sector programs offer support for veterans and their support networks to help facilitate effective communication and understanding between veterans and their families as they cope with the effects of psychological trauma. Another veteran, David Muir Jr., a Senior VP with the Veteran’s Staffing Network, has also emphasized the importance of collaboration between the public and private sectors. On the public side, the VA is the major player providing a wide range of services and is backed by large amounts of government funding. Mr. Muir encourages all veterans who are in need of assistance to tap into this giant resource and take advantage of all of the services that it provides. In addition to the services provided by the VA, a host of smaller, privately funded organizations have arisen to help address the problems that veterans face returning home. A number of these organizations were started or are staffed by veterans themselves. This peer support shows that while some aspects of the culture of the military can sometimes contribute to the difficulties faced by veterans in seeking out help after returning to civilian life, the principles of solidarity and support present within this culture can have a profoundly positive impact. With the rise of so many small, locally based programs, it can be difficult for veterans to filter through them all to find what they need. To address this difficulty, matching networks, such as the Easter Seals Dixon Center, work on a national level to help match veterans to local programs to provide the support and camaraderie that they need at a location that is close to home. 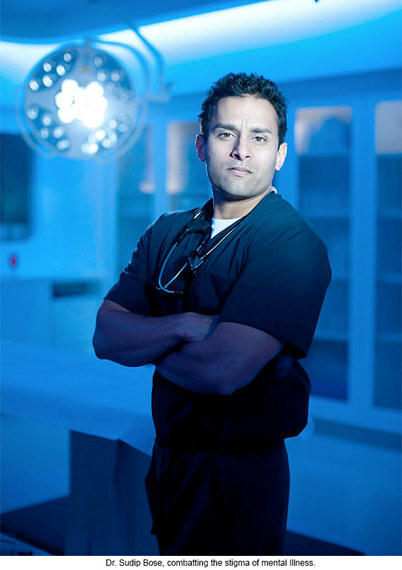 For more about Dr. Sudip Bose, MD, please go to SudipBose.com and visit his nonprofit TheBattleContinues.org where 100% of donations go directly to injured veterans.